What does composition of Browns’ search committee say about organization? What does the composition of the Cleveland Browns’ search committee say about the organization? Cleveland Browns general manager John Dorsey refused to identify those who would be on the coaching search committee, saying only that the group would be comprised of members of the organization. Fans got a little more clarity on who is sitting in on interviews with potential candidates when ESPN NFL Insider Adam Schefter reported Sunday that the Browns’ search committee included owner Jimmy Haslam, executive vice president JW Johnson, vice president of player personnel Andrew Berry, assistant general manager Eliot Wolf, Dorsey and chief strategy officer Paul DePodesta during their interview with Indianapolis Colts defensive coordinator Matt Eberflus over the weekend. When Dorsey came aboard in December of 2017, it was believed that he ran the football operations side of the organization, but the composition of the committee shows this decision goes beyond the scope of what happens on the field. Fans were hoping for a football man to make the decision on the franchise’s next coach, but as an earlier report said, Haslam would have the final say in whom the Browns brought on to be the team’s on-field leader. Mix in the report about Johnson and DePodesta, it shows the Browns remain committed to a combination approach of football and analytics in order to build a successful, sustainable culture. Plus, that outside-the-box thinking has helped the Browns cast a wide net with leaders who possess diverse coaching skills at the NFL level. Cleveland Browns Chief Strategy Officer Paul DePodesta remains very much involved in the team's decision-making process. The Browns hired DePodesta, a former vice president of the New York Mets baseball team, in January of 2016 to be the chief strategy officer, but during the first two years of his tenure, the organization won only one game. 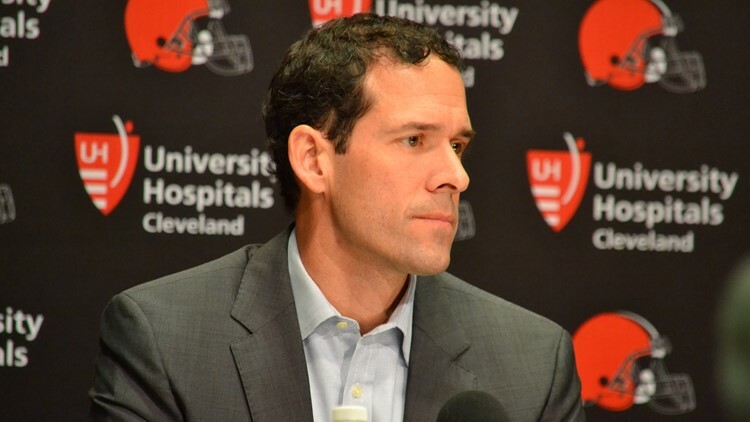 However, while Sashi Brown was jettisoned late in his second year on the job as a team builder, DePodesta not only survived the change, but remains a key contributor within the front office under Haslam’s direction. 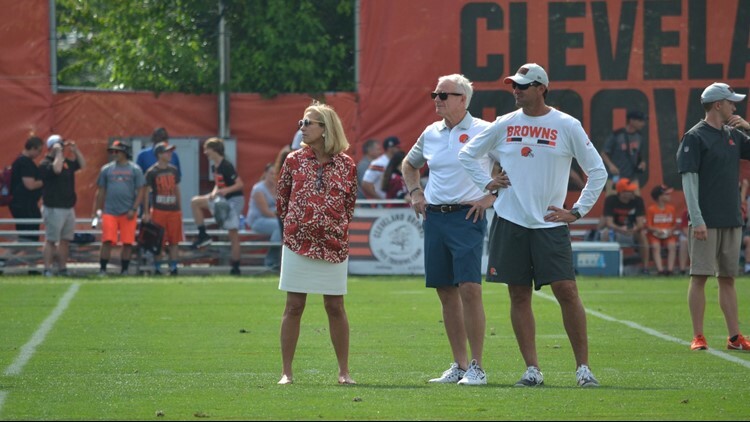 Cleveland Browns owners Dee (right) and Jimmy Haslam (middle) and Executive JW Johnson watch a drill at the end of practice on Day Five of Training Camp at the team's Berea headquarters. Johnson was added to the executive staff in June in order “to make it more of a family business, very much in line with the structure of other NFL franchises,” a Browns spokesperson said at the time of the decision. Johnson joined the Browns with a background in journalism and multimedia, as he spent 15 years as an associate director/producer for CBS Sports before becoming the strategic wholesale sales manager at Pilot Flying J, and later, a development director for RIVR Media before founding his own company, 3 Sons Media. Pilot Flying J is owned by the Haslams, while Dee Haslam is a partner/executive producer for RIVR Media. By joining the front office and having a role in the search committee, Johnson continues to learn another one of the Haslam family’s businesses and will provide a unique perspective as the Browns look to take the next step as an organization.